REUTERS/Francois LenoirRevelations about Luxembourg’s tax system are likely to have a political impact on Jean Claude Junker. 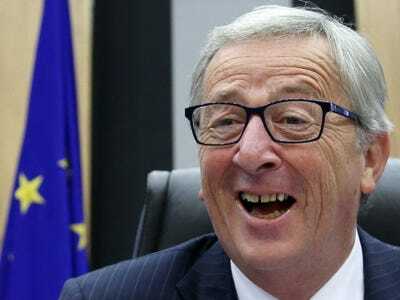 Jean-Claude Junker, the newly-elected president of the European Commission, may face extra pressure after a group of investigative journalists revealed on Wednesday thathundreds of companies appear to havenegotiated secret tax-cutting dealswith Luxembourg. Juncker was prime minister of Luxembourg for 18 years, between 1995 and 2013. According to leaked documents obtained by the International Consortium of Investigative Journalists (ICIJ), the shady negotiations allegedly saved some of the world’s biggest companies, including Pepsi, HSBC, Amazon, and IKEA, millions of dollars that would otherwise have been paid in tax. The private rulings have left some companies paying just a fraction of a percentage point in tax on the earnings they register in Luxembourg. In once case, the Belgian activities of 1,600 companies are registered to just one building. Here’s a full list of every company named in the tax ruling documents. Juncker, Luxembourg’s top leader when many of the jurisdiction’s tax breaks were crafted, has promised to crack down on tax dodging in his new post, but he has also said he believes his own country’s tax regime is in “full accordance” with European law. Adding a political twist to the Brussels probes is Juncker’s rise to the presidency of the European Commission. As Luxembourg’s prime minister, he signed into law the provision that allows companies to write off 80 per cent of royalty income from intellectual property. It might well be the case that Luxembourg’s tax system is perfectly legal under European law, but it’s hard to imagine that it’s helped to “put some morality” into the system. Either way, this does not look good for Junker who is only four days into his five-year term as European Commission president.